In this new series, three artists that represent the eclectic nature of the blog will have some positive coverage of their recent or upcoming release. These features are designed to widen the appeal of the acts and manage effectively the time constraints of running this blog. First up is a trio of UK artists headed by the raw and gutsy country blues of Cherry Lee Mewis. 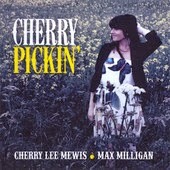 Her new EP titled CHERRY PICKIN' is a follow up to last year's full length album HEARD IT HERE FIRST and a collaboration with Max Milligan who gets joint credit on the album cover. Essentially the record is four main tracks supplemented by a pair of shorter contributions but the fairly brief 14 minute listening experience is over far too quickly thus leaving you yearning for an extra helping. Released on the Cherry Jam label, Cherry was comfortable to sit back and let the pen of Max take control over five of the six tracks, and having added her own spirited and dynamic vocals to the songs, was eager to share them via this short record. The prize of top track is a toss up between the pedal steel driven powerful ballad 'It's Over' and the driving blues inspired 'Meet Me at the Station'. However the main winners are those discovering Cherry for the first time as this EP has the doubled edged benefit of creating a desire to investigate her back catalogue and leaving an unsatisfied thirst for future offerings. 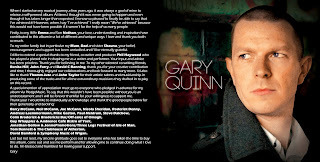 Gary Quinn has, with the help of the Pledge platform, finally put out a full length release of original material to follow up a brief but impressive EP in the latter months of last year. This highly pro-active and talented songwriter is part of a UK element out to demonstrate that good quality contemporary country music to rival the output of Music Row is alive and thriving this side of the pond. These 10 self-penned tracks do include a couple of strong songs that appeared on Gary's previous recording but 'Live Each Day' and 'He Don't Show Her Anymore' are well worth sharing with audiences new to his work. Of the new songs the definite stand out is the traditional feel to 'On Your Way Out' which like several of the key tracks is rich in pedal steel. 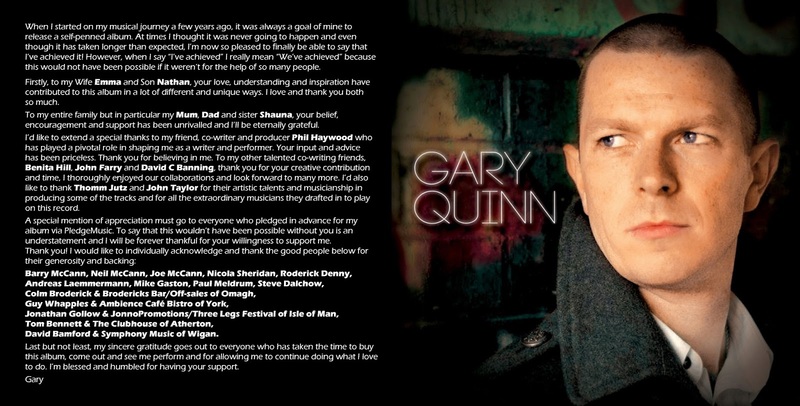 While there are undercurrents of a pop sound, this is unmistakably a solid and refreshing country release that has the potential to project Gary beyond the sometimes narrow confines of the UK country scene. Finally the folk/Americana crossover sound that sees Troubadour Rose stand out among their peers has been commissioned to a no doubt vinyl, disc and digital format in the guise of their excellent debut album FIND AN ARROW. In the midst of fine company as part of the evolving Clubhouse Records stable, Troubadour Rose offer an alternative to the alt-country/rock style synonymous with many of the acts on the label and their brand best described as alt-folk does possess a unique feel to reach out to a broader audience than one restricted by a single genre straight jacket. The trio consisting of Bryony Afferson , Lizzy O'Connor and Gary Bridgwood expertly blend their sumptuous harmonies with the usual collection of roots influenced string instruments to enchant, engage and captivate your musical senses. Of the many fine songs to be found within the eleven selected tracks, the nostalgic 'Bruce Lee' puts its nose in front alongside the unusual self-titled masterpiece that brings the record to an outstanding finale. 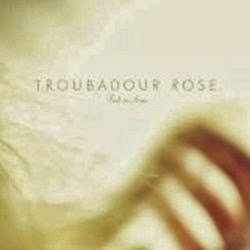 The salient striking sound of Troubadour Rose will re-define the boundaries of folk and has the potential to evolve into the mythical, at the moment anyway, genre of 'Briticana'.